Irrigated agriculture, a vital component of general agriculture, supplies fruits, vegetables, and cereals consumed by humans and grains fed to animals. 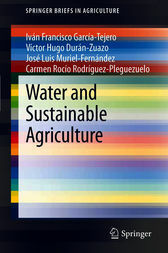 Consequently, agriculture is the largest user of fresh water globally, and irrigation practices in many parts of the world are biologically, economically, and socially unsustainable. Water management should balance the need for agricultural water and the need for a sustainable environment. Water-use efficiency is the prime challenge in worldwide farming practices where problems of water shortages are widespread. Currently, agriculture is undergoing significant changes in innovative irrigation, fertilizer technology, and agronomic expertise. These elements constitute a vital platform for sustainable agricultural success and for preventing environmental damage. This review presents several processes linked to environmental irrigation, balancing environmental protection with improved agricultural production.